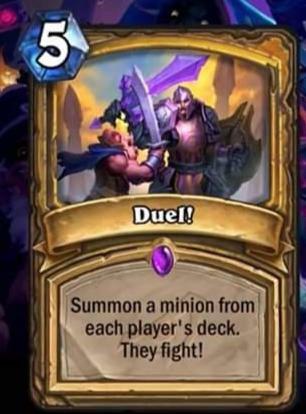 All these hours outside of Stormwind or Orgrimmar have not gone to waste: Duel is now a Paladin spell in Hearthstone! Duel was revealed by Thai site Online-Station. There is also a video with gameplay of the card; the animation is pretty sweet! Very interesting card, I like the idea a lot. I've no idea if the card will be played but the concept is great.